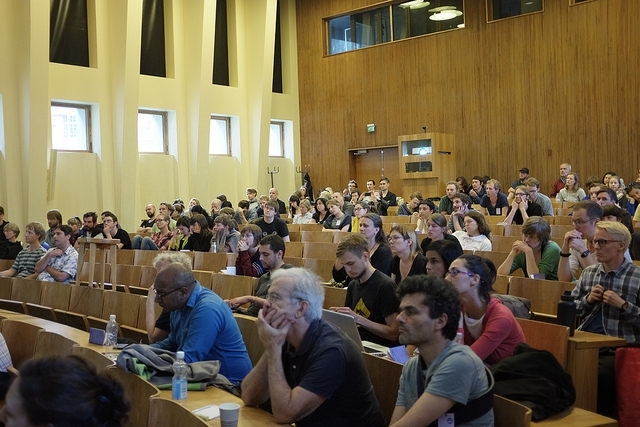 Dr. Markus Schmidt, founder and team leader of Biofaction in Vienna Austria, gave a keynote lecture on the Bio-Commons as a kick-off for the Pixelache Bio-Commons workshop. He opened the theme of the Bio-Commons, presenting various initiatives aiming at creating a more open source environment in the biotech area and the Nagoya Protocol as a means to internationally regulate the use and conservation of genetic resources. He showed parallels from the printer movement to biotechnology, with DIYBio spearheading the movement to go beyond the producer-consumer divide. With an educational background in electronic engineering, biology and environmental risk assessment, Dr. Schmidt has carried out environmental risk assessments, and safety and public perception studies in a number of science and technology fields. In addition he organizes the Bio-Fiction art and science festival in Vienna.